New Zealand head coach Steve Hansen has resumed his war of words with Warren Gatland after the Wales boss said he is done involving with the British and Irish Lions again. Gatland led the British and Irish Lions to a 2-1 series victory in Australia in 2013 and managed to draw the series against the World Champions All Blacks 1-1 in their recently concluded gruelling tour of New Zealand. However, he had to endure tough times coping with criticisms and at one stage, the New Zealand Herald newspaper published a cartoon depicting the Wales coach as a clown, complete with red nose. Vivid with the response despite a successful tour, Gatland said last week that he will not involve with Lions once again and cited 'hated the press and negativity' the reason behind it. 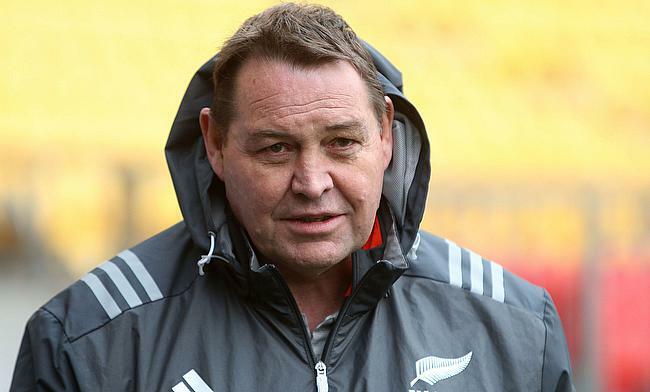 With the All Blacks visiting Cardiff on November 25, Hansen has chosen to reopen his war of words with his rival. "Why would you hate coaching the Lions?" Hansen said on New Zealand's Radio Sport. "If you hate coaching, don't do it. I love coaching any team I've been involved in - that's the reason I'm doing it. "I'm lucky enough to coach the All Blacks, which is fantastic. If you are lucky enough to coach the Lions, it is also fantastic." Gatland is also seen as one of the top contenders to replace Hansen post 2019 World Cup. "Welcome to our world. You are under constant pressure, constant scrutiny. People expect you to be able to front up and do the job well," Hansen said. "In the All Blacks' case, we are expected to win every Test and win it well. "You don't want to change those expectations - they drive your own inner expectations to be even higher. It drives that necessity to want to always be better."